–Winemaker Gaia Gaja, on the importance of viticulture and being connected to the land. Suzanne Hoffman’s Labor of Love is an ambitious undertaking, representing the results of more than a decade invested in getting to know the families of significant Piemontese winemakers. She offers a fascinating and engaging focus on the women behind those families, women who uniformly serve as the strength, direction, and irrepressible determination behind some of the best wines being made anywhere. 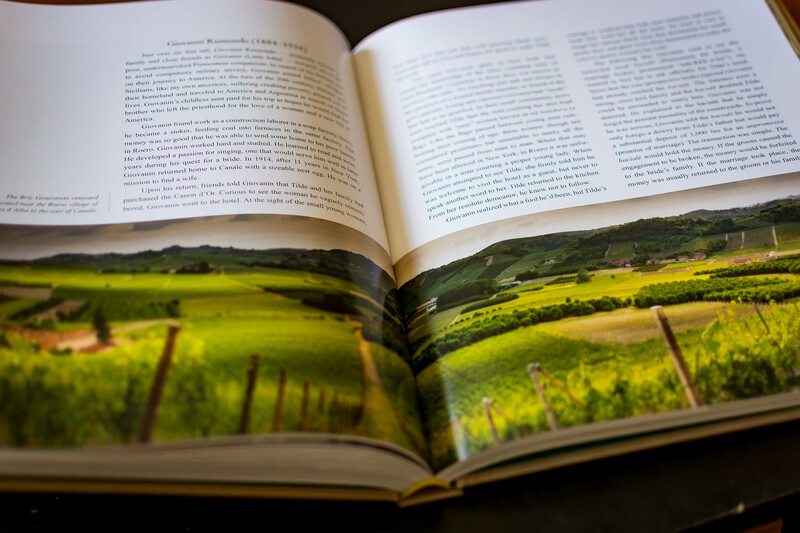 The book opens making no secret about its rather noble mission–getting the reader to not only become familiar the Wine Family Women of Piemonte, but to feel admiringly connected to them. It is no endeavor to be idly embarked upon; the average wine consumer knows Italy at best for the Chianti that sometimes bears the mark of the black rooster. The above-average wine consumer has maybe heard of Barolo (but perhaps doesn’t know that name refers to a town and a DOCG denomination, not a grape) and knows it as the expensive wine gathering dust on a shelf at the better wine stores around town, but probably still can’t name other Piemontese varietals, let alone the vintners who produce them or the names of the sub-regions in Piemonte. The really dedicated Italian wine fan can list along with Barolo the Dolcettos, Barbarescos, Barberas, Arneis, Nascetta, etc also found in Piemonte, but probably still feels no psychological connection to the rolling hills just south of the Alps in northwestern Italy. For all its weight in the wine world, Piemonte just does not get the tourist traffic that the Rome/Florence/Venice track gets, or anywhere near it. It is without a doubt the key wine region in Italy any connoisseur will want to know, but it rarely hits the radar of the average first or second or third time visitor to Italy. How best to bridge that gap? How best to have the non-Italian reader feeling engrossed in the inner workings of Italian wine families in a decidedly quite, bucolic, off the beaten path corner of the peninsula? Hoffman goes about it in possibly the best way–writing eloquently to put you in the kitchens, tasting rooms, neatly trained rows of Nebbiolo and Dolcetto and Barbera, and most notably in the warm hearts of the women who make the Piemonte wine scene possible. The beautifully bound, substantial tome is lovingly laid out with extensive use of excellent photography that plants the reader right there in the vineyard; after an introductory chapter that lays bare why there might not be a Piemonte DOCG today were it not for the selfless labors of Giulia Falletti (the ‘patron saint’ of Piemonte wine women) you spend each of the twenty two chapters reading the fruits of a decade and a half of considerate investigatory labor, taking in a thorough examination of the history of the vineyard, a description of the family structure behind it, and the role that the women in the family have played over the past couple centuries. You begin to understand how, through the trials and travails of two world wars, depressions, phylloxera epidemics, occupations, the Industrial Revolution, mass production of cheap jug wines, and proliferation of modern technologies, it has always been the inner strength of these amazingly resourceful women providing the psychic glue Piemonte’s wine families needed. In short, when tilting a glass of Nebbiolo or Arneis, you are touching the essence of truly locavorist artisanal culture that would not prevail today were it not for the tireless and often thankless labors of women in a culture that frankly still often fails to see women as equals politically and socially. This is not to say that Labor of Love is a merely sentimental hagiography of women in Piemonte; it is rather an honest, thoroughly researched, and warmly offered recounting of stories that are quite often rather tragic. The reader will note many common themes throughout, perhaps chief among them perseverance through tragedy. All but universally these women have had to carry on through brutal occupations by Nazis, and past deaths of sons and husbands and daughters, through hunger and starvation and loss of crops, and often while not knowing if they would even be able to inherit the very land they were tilling with calloused hands in the fields. Reading the stories gives you an emotional connection to women who themselves live and embody an undeniably heartfelt connection to the land that sustains them, and to their forebears. They express repeatedly the redemptive qualities of working the land, and being invested in it for a lifetime, and you come to understand it more deeply than you thought possible. Another common theme is charity, whether it was risking their lives in World War Two to feed Italian partisans fighting the Nazis and the Fascists, or whether it was helping neighbors keep their crops alive. It is quite clear by the book’s end how deeply held the sense of community is for the wine women of Piemonte. In sum, their experience is a microcosm of the Italian experience in the last 150 years generally, what with the changing role of women in society and the changing sense of self-awareness of the Italians themselves as it morphed over the last century and a half from a loosely affiliated collection of regions and city-states into parts of a larger, Italian whole; the challenges these women have overcome parallel the ones the entire peninsula has endured, and the future they worry about collectively is in many ways the same set of challenges Italy will struggle with in the 21st Century, namely how to preserve a sense of “Italianess” in an increasingly globalized economy wherein Italy is not quite sure of its place. Labor of Love will inevitably have you looking at your calendar wondering when you can next jump a plane to Italy to start exploring; you will certainly close the book not only wanting to explore the wine they make, but get to know the women whose hearts and minds the book has offered tantalizing insights into. Wine is culture, wine is indeed civilization. It is a liquid connection to the very earth from whence all of us came, and it is the very expression of the earth that feeds all of us. To truly know a culture is to taste its food and wine, and learn about the people who bring it to us. 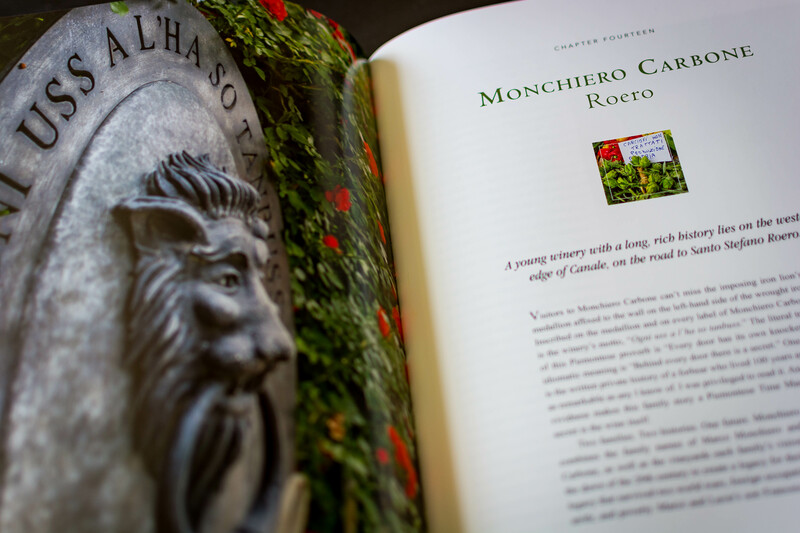 This book is a great way to begin that journey, and be forewarned–you won’t be able to read it without feeling a tremendous urge to get to Piemonte. Thank you so much for this lovely review, Sebastian! I am thrilled the book touched you so deeply and that you chose Gaia’s insightful quote about the nature of wine. Grazie mille! As much time as I’ve spent in Italy and having grown up with an art historian Italy expert father, it’s been a while since I’ve learned so much about Italy in one sitting with a book! I was already hooked on Piemonte…now that I’ve read Labor of Love, I need to become Piemontese.